Eco friendly window cleaning Dublin, high reach window cleaners. Cleaning windows is a very cost effective way of making a dramatic difference in the look and feel of your home. Nothing renews the sparkle and brightness of a clean window. We are window cleaners in Dublin who offer all methods to access and clean windows in an eco-friendly manner. We guarantee to provide you cheap window cleaning solutions that fully meet window cleaning requirements. We often wash our window once or twice a year, but that’s not enough. You would probably sit at your desk and look out of the window and try figuring out if the day is beautiful, but the grime on the window prevents your view. Window cleaning company helps solve all your window cleaning woes. Clean windows are no doubt an important part of your house and office maintenance. 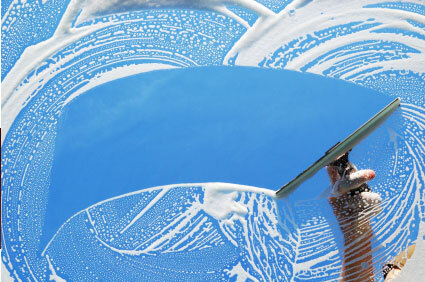 Window cleaning service providers opine that they need to be washed every month or two depending on the surroundings. Here are reasons why you need to keep your windows clean from grime, sticky pollen, finger prints and dust. Windows allow light into your home which helps heat up your house during winters and help maintain your electricity bill low. They bring warmth into your house in many ways. We, help window cleaning in Dublin in order to brighten up your house with natural light. Dirt and smudges on the windows limit the effectiveness of conducting heat. The foremost reason to clean your windows is to lift the appearance of your home or office. Clean windows are capable of making magnificent impression. A well maintained, clean window reflects your house in a bright light. Commercial window cleaning agents recommend that the windows are cleaned at regular intervals, about twice a month at places of business. Residential window cleaning providers hold that you can get away cleaning windows twice a year if it is your home. Your personal preferences also decide on the frequency as some like dark, gloomy feel coming from smudgy windows, while others prefer windows being crystal clear all the time. In case you are cleaning your windows from outside, the inside part of the window needs to be cleaned first. This is because opening a window leaves streaks behind which can be wiped off later. Cleaning windows is a difficult job and special equipment is necessary especially if the window is on the second or third floor. Hence, it is better to hire a professional window cleaner than attempting the cleaning process yourself. The optimal time to clean windows vary depending on local weather conditions. People usually prefer cleaning windows twice a year or during change of weather. It is impossible to schedule a cleaning session during winter due to the large amount of pollen in the air. You can always check with professional window cleaners for the best time to get your windows clean. Grimy windows are no doubt depressing no matter whether they are a part of your office or home. Clean, clear windows enable you to enjoy the beauty of your garden and the view outside. It is always a prudent and salient idea to keep your window clean. Besides regular cleaning also keeps the windows sparkling and welcoming. We give you the best window cleaning solutions in an eco-friendly manner, without harming the environment and the inmates of the house or office.